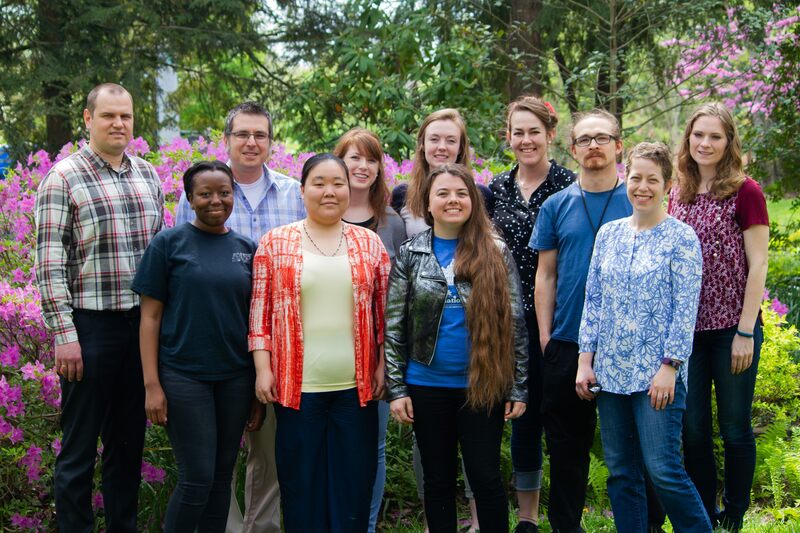 Welcome to the Glazer Research Group at the University of Kentucky! 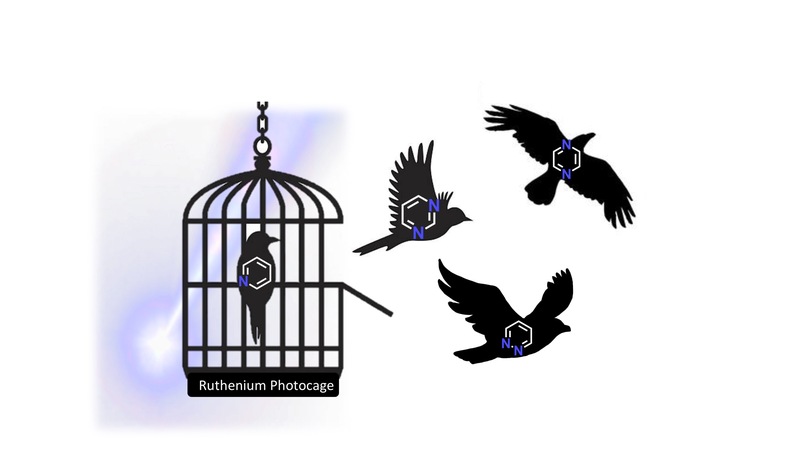 Dima's new paper on tuning the reactivity of light-active Ru(II) complexes with diazine ligands is online at Chem Comm! Welcome to new PhD students Austin Hachey, Alex Fenton, and Richard Mitchell! Congratulations to Catherine, Dave, and our collaborators Drs. Inacrist Geronimo and Christy Payne! Our new paper on the molecular determinants for P450BM3 substrate selectivity and enzymatic activity is online at Biophysical Journal! Welcome to new undergraduate researcher Olivia Tholt! 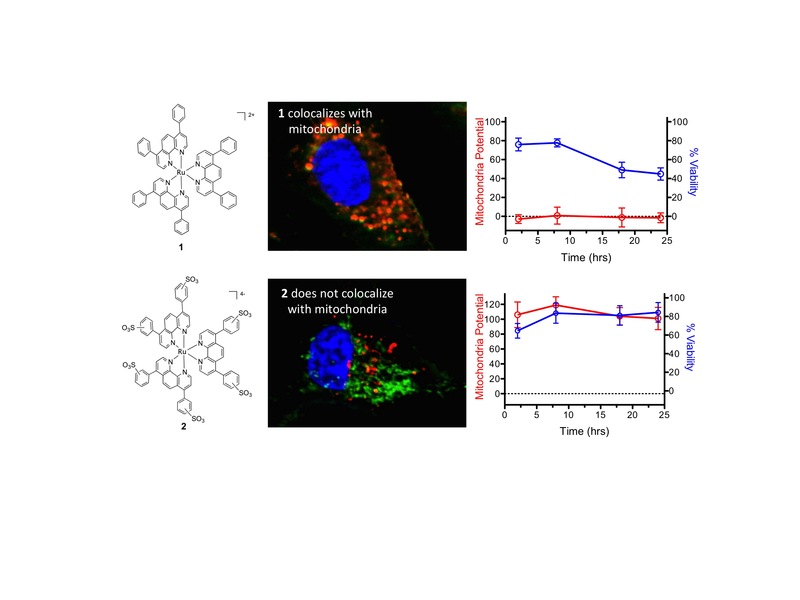 Yang's paper on using bacterial cytological profiling to understand the mechaism of action of inorganic anticancer agents is online at Molecular Pharmaceutics and was selected as ACS Editors' Choice! Congratulations! Yang masterfully defended her thesis! Congratulations!!! Leona and Kimberly graduate! Congratulations!!! Leona is the star of an awesome new video about being a chemistry major at UK! Congratulations to Dima, Dave, Leona, and Dr. Sean Parkin! Dima's paper was highlighted on the back cover of the European Journal of Inorganic Chemistry for the special cluster issue on Metal Anticancer Complexes! Congratulations, Ana, for successfully defending your thesis! We got the cover of ACS Combinatorial Science! Beyond excited to speak at this amazing symposium next month! Congratulations Leona! She had two papers published AND was accepted to Weill Cornell Graduate School in the same week! Way to go!!! Congratulations to Dima, Dave, Leona and Dr. Sean Parkin! 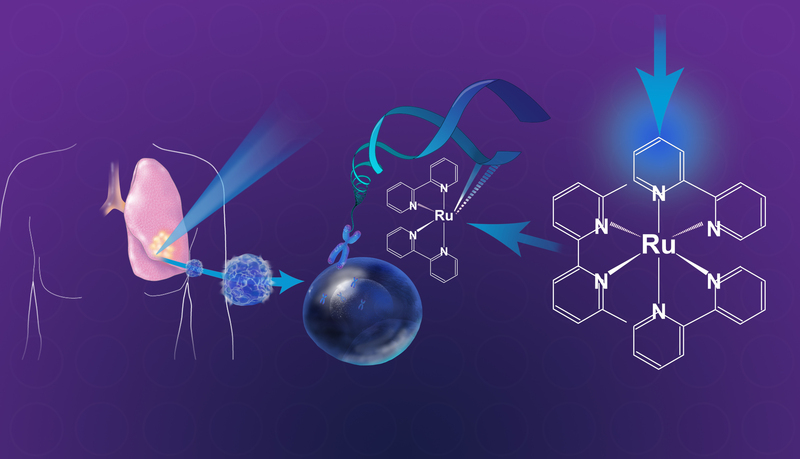 Our paper on light activated Ru(II) complexes with pyridyl-benzazole ligands has been accepted to the European Journal of Inorganic Chemistry for a special issue on medicinal inorganic chemistry! 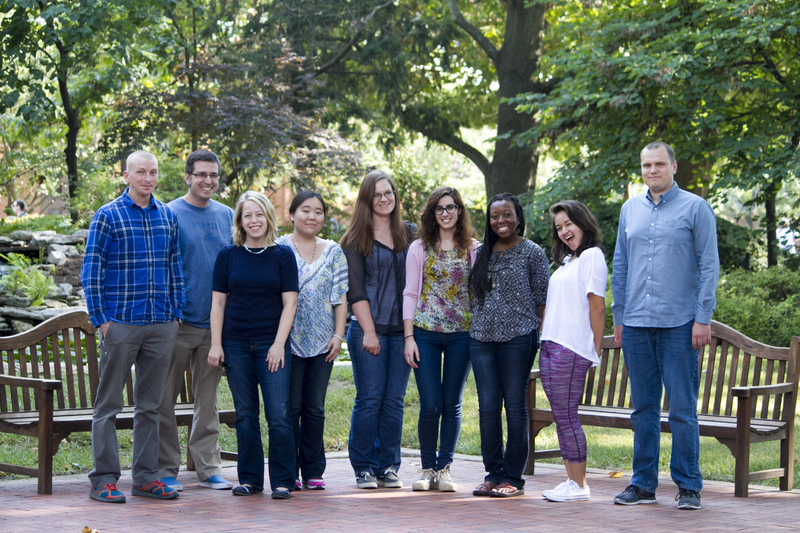 Congratulations to Ana, Catherine, Dave, Leona, Erin, and Prof. Jose Ruiz! 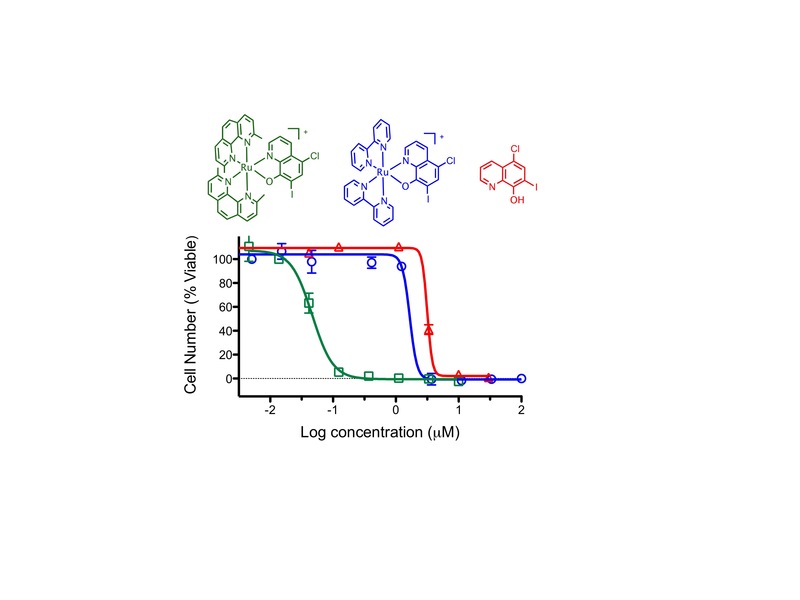 Our paper on dual action light acitvated systems that combine P450 inhibitors and DNA damaging agents is up at Dalton Transactions! Congratulations to Dave and our collaborators, Ashley Loe and Chris Richards! Our paper on using Dendra2 for real-time monitoring of protein production and degradation in live cells is online at SLAS Discovery (previously the Journal of Biomolecular Screening)! Check it out. We think Dendra2 is really useful for screening approaches. Erin and Diego's paper is online at ACS Combinatorial Chemistry! Congratulations! Welcome to the lab, Tiffany and Nicole! Positions available! We are looking for motivated postdoctoral scholars interested in medicinal inorganic chemistry or in heme enzymes. Dr. Glazer is giving lectures at the 5th Holland Research School of Molecular Chemistry Photochemistry School! Congratulations to Erin and Ana! Their new paper "Geometry matters: inverse cytotoxic relationship for cis/trans-Ru(II) polypyridyl complexes from cis/trans-[PtCl2(NH3)2]" is online at ChemComm! Congratulations to Catherine and Dave for their collaborative paper with Drs. Inacrist Geronimo, Christy Payne and Tom Huxford! Our paper has fantastic company on Biochemistry ASAP! Congratulations to Erin for successfully defending her PhD thesis! ACS San Diego was wonderful, and it was so good to catch up again with Ana Maria Zamora! Erin is on a roll! She just was awarded an American Chemical Society Travel Award to present two talks at the ACS in San Diego! Congratuations, Erin! She has won the Myrle E. and Verle D. Nietzel Visiting Distinguished Faculty Program Award for her upcoming dissertation defense and will host Prof. Christine Cardin (University of Reading) as her outside examiner! Congratulations to Matt and Brock! Their paper in Journal of Materials Chemistry B was designated a Hot Paper! Dr. Glazer was a part of the Emerging Investigators in Bioinorganic Chemistry in the ACS Select Virtual Issue on Bioinorganic Chemistry! Congratulations to Matt and Brock for their paper in Journal of Materials Chemistry B! Congratuations to Erin and Diego! Their report in Chemistry - a European Journal was designated a Hot Paper! Welcome, Ana Maria! We are very excited to host you as a visiting student from the Universidad de Murcia! Congratulations to Yang for receiving an RCTF Fellowship! Welcome, Dima! Dima joins the lab as a Postdoctoral Scholar from the Lviv National Medical University. Check out a video about our research! Awesome Demo Show for National Chemistry Week - good job, Erin and Catherine! Congratulations to Dave and Brock for the acceptance of their paper to J. Med. Chem.! Congratulations to Catherine for receiving an NIH NIDA training fellowship! Congratulations to Achmad for his first author paper in Inorg. Chem.! Congratulations to Yang and Matt for their paper in Inorg. Chem.! Congratulations to Erin for being chosen to receive an RCTF Fellowship!